Bankruptcy lawyers in Tucson, Arizona have been in high demand with the unstable economy and the hard financial times that have fallen upon many individuals in Tucson, Arizona. Are you looking for a Tucson bankruptcy attorney or Tucson bankruptcy lawyer to help you out with foreclosure, repossession, creditor harassment, or wage garnishment in Tucson, AZ? Do you need Tucson debt relief? If so, you are not alone! More and more people in Tucson, AZ are facing financial woes and economic hardships. These dire financial situations that many residents of Tucson find themselves burdened with may be due to job loss, unexpected medical bills, simple bad luck, or divorce. At the law offices of Legal Help-AZ in Tucson, Arizona, we help our clients secure the fresh start they so desperately need. Our experienced Tucson Bankruptcy Attorneys work with every one of our clients to assure the best results regarding their financial situation. There is ample information to be found regarding filing bankruptcy in Tucson, AZ and about Bankruptcy Attorneys in Tucson, but the fact remains that every person in Tucson has their own unique financial situation. Let our qualified Tucson bankruptcy attorneys guide you through the process of deciding if filing bankruptcy might be the best choice for you and your family. 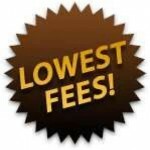 Our legal fees are some of the lowest fees in Tucson and throughout Arizona. We keep our fees low as we understand that if you are filing bankruptcy, chances are you are already in a dire financial situation. How do you file bankruptcy in Tucson, Arizona? Can I save my home by filing for bankruptcy protection? Bankruptcy lawyers in Tucson, are they my best option? What is life like after declaring bankruptcy? How can I pay for my bankruptcy? Does filing bankruptcy effect my spouse? What are some alternatives to filing bankruptcy? Will I be able to buy a house or a car after filing for bankruptcy? When you are ready to discuss your case specifically, it is probably the best idea to Contact a Tucson Bankruptcy Lawyer, do not hesitate to set up an appointment and discuss your options. Your initial consultation is free, do yourself a favor and take advantage of some free legal advice. Speak with a Tucson bankruptcy lawyer and find out what solutions are waiting for you. Our Tucson Bankruptcy Attorneys are dedicated to helping people like you get relief from debt. This is what we do every day, so you can be confident in our ability to help you with your current financial situation. Our Tucson Bankruptcy Lawyers offer free initial consultations and case evaluations either in one of our local offices or by telephone. We have some of the most affordable legal rates in Tucson and all of Arizona. We offer payment plans, night and weekend appointments, and a no hassle, no pressure, no obligation, FREE, consultation for you over the phone or in one of our Tucson bankruptcy law offices. Contact our Tucson Bankruptcy Law Office at (520) 306-8729 to set up an appointment today. Our bankruptcy law office is conveniently located at the corner of Congress Street and Stone Avenue in downtown Tucson. 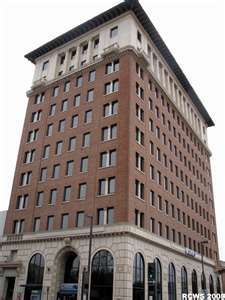 We are on the 9th floor of the Chase Bank Building downtown Tucson. More information about our Tucson, AZ bankruptcy law office. Bankruptcy is our business. Our Tucson bankruptcy lawyers look forward to hearing from you.